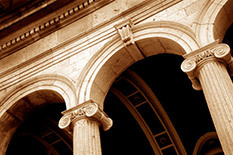 Utilizing a combination of our years of real world experience and long-standing academic theory, MCA creates tax- and cost-efficient portfolios for each client based on their unique personal and investment situations. 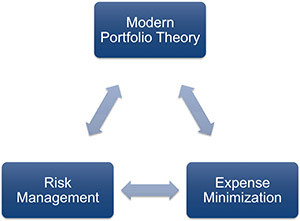 Our investment philosophy is based on Modern Portfolio Theory. We believe that markets are efficient, so we are not willing to spend our client’s valuable time and money attempting to determine which investments will outperform. Our approach is generally characterized as “Passive Management.” It is our belief that stock pickers and market timers (“Active Management”) do not generate returns significantly different than those that we would expect from random chance. Risk Management. We assemble portfolios comprised of investments whose returns are lowly- or negatively- correlated to one another based on historical risk and return statistics. A specific percentage allocation for each asset class is made based on statistical analysis and judgment. Expense Minimization. This includes advisory fees, fund manager fees, transaction costs, and, importantly, taxes. We primarily utilize low-cost investment vehicles from Vanguard and DFA Funds, in addition to directly-held individual bonds we purchase in the institutional market. © 2019 Maryland Capital Advisors Inc. All rights reserved.